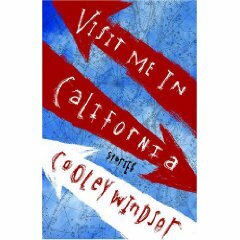 Before moving out, my ex-roommate left us a book written by his friend, Cooley Windsor. “Visit Me In California” sat around on kitchen table for a little while before I finally picked it up and read the first story, “The Last Israelite in the Red Sea.” The story was completely fantastic so I read a few more stories before stopping to call my mother to tell her about this new find. “Israelite” is written from the perspective of one of the Jews that followed Moses across the Red Sea into Israel. It is funny, charming, simple and human. It reminds you that at some point, any part of history was somebody’s moment and that even Moses peed. Another story is written from the perspective of Paris, Helen’s “lover” that started the Trojan war, and yet another from Homer himself, only aging and blind. I really really really love this book and would recommend it to anyone who likes to be reminded of their own humanity and vulnerability.